Southern Naturals herbal bath teas, also known as bath salts, brings healthful benefits to your skin while enjoying a relaxing bath of dead sea salts, herbs and epsom salts as well as by inhaling the pure herbal fragrances. 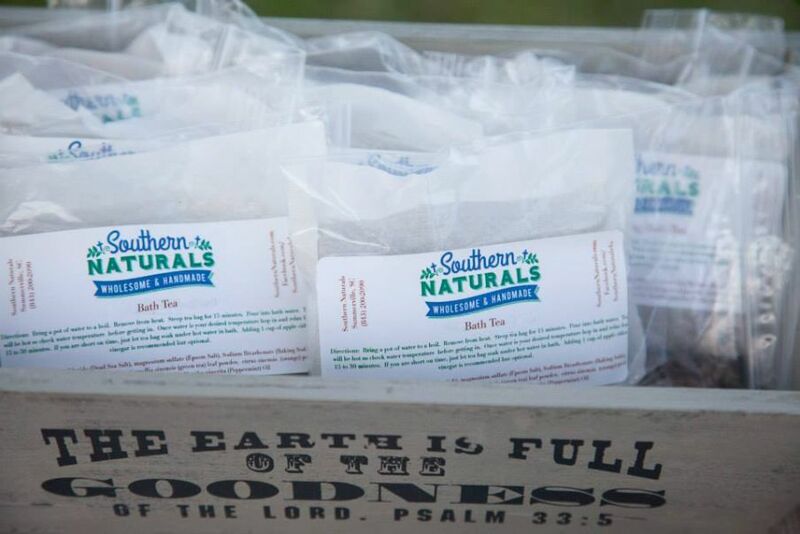 Southern Naturals Bath Teas are made from pharmaceutical grade Epsom salt, premium dead sea salt which is 100% pure, harvested from the Southern Dead Sea in Israel where the mineral content is the highest along with choice dried herbs, blended to perfection and packaged in large disposable "tea" bags (convenient and compostable). All herbs used in our bath teas are or organic origin, wild harvested or cultivated by me without the use of any chemicals. Directions: Bring a large pot of water to a boil. Remove from heat. Steep tea bag for 15 minutes. Pour into bath water. Tea will be hot so check water temperature before getting in. Once water is the desired temperature hop in and relax for 15 to 30 minutes. If you are short on time, just let tea bag soak under hot water in bath but be sure to use a reusable muslin bag, also available. Adding 1 cup of apple cider vinegar is recommended but optional.